The 1989 Land Rover Defender restomod is a very popular four-wheel drive off-road vehicle. It’s well-liked in many countries, especially in the United States where the Neo D110 restomod model was sold for an incredible $145,000. The restomod is the newest phenomenon where the new cards combine old and new technology to create the best of both worlds. Thus, the restomod vehicle comes with classic styling with modern comfort, reliability, and performance. The 1989 Land Rover Defender Neo D110 restomod was built by Arkonik, the world’s leading Land Rover Defender specialists and dealer. It comes in Santorini Black body color and it features KBX wing top vents, twin cat LED headlights, an OEM hood, grille painted in Zambezi silver, and black 18-inch Kahn Defend 1983 alloys shod with BFGoodrich T/A KO2 tires. Moreover, this Neo D110 restomod comes with a Raptor-coated steering and front differential guard, as well as, LED taillights and a Defender badge. It features the Arkonik’s logo on the cover of the tailgate-mounted spare wheel. 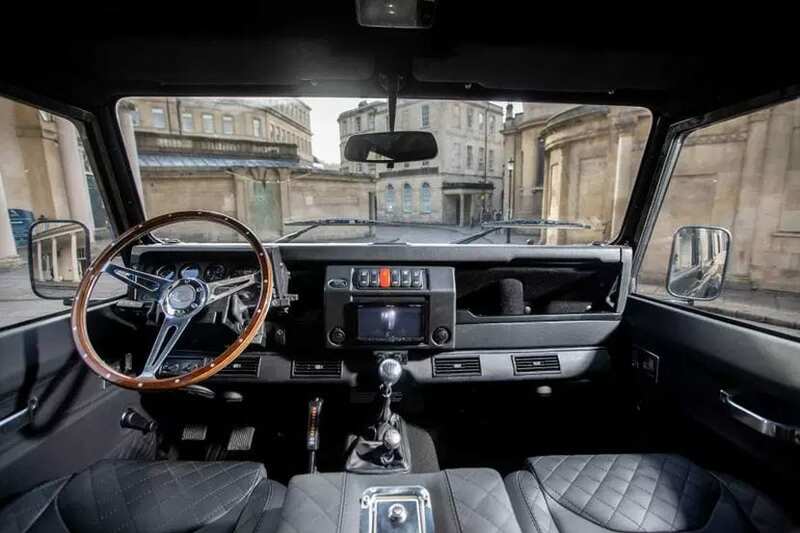 The interior of the 1989 Land Rover Defender Neo D110 restomod is as exceptional as the exterior. Inside this vehicle, you will find black leather trim with diamond quilting read and bucket seat. Likewise, there is a matching leather on the door cards and center console. 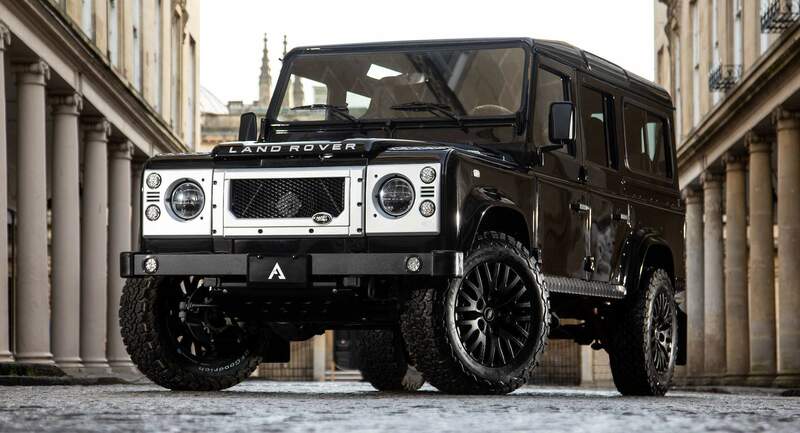 Hence, the lucky driver of the 1989 Land Rover Defender Neo D110 restomod will get a chance to touch a 15-inch wood-rimmed steering wheel and alloy gear knobs. The alloy was also used for the inner door handles and there are also interior highlights which come with Ice White LED lighting package, black suede headlining, lock boxes with a 12V power outlet and USB port, two locks and folding seats in the load area, and a Pioneer premium sound system with reversing camera display. This four-wheel drive off-road vehicle also has a secondary twin circuit battery with isolator switch, air conditioning, and a sunroof. Last but not least, it comes with a 3.5-liter V8 gasoline engine. 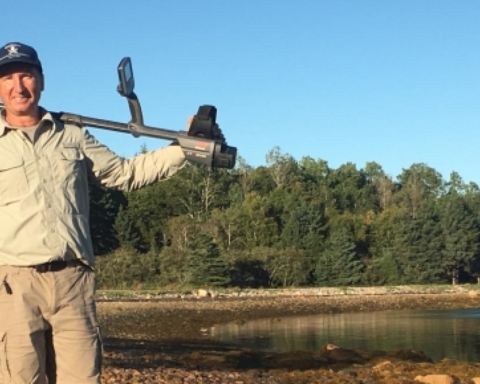 This is definitely an outstanding vehicle but is it so outstanding to pay $145,000, excluding delivery, for restored1989 Defender 110 station wagon, we will leave it to you to decide.